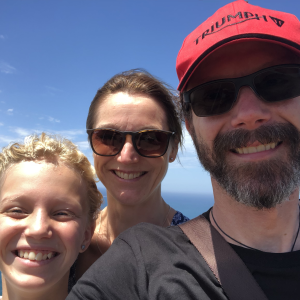 Dr Jorian (Jo) Kippax is an Emergency Specialist physician of somewhat confused trans-Tasman loyalties who now lives in Tasmania with his wife, small daughter and baby son. He mostly works at the Royal Hobart Hospital in the Emergency Department and in the Diving and Hyperbaric Medicine Unit but is also involved with the Army and international disaster-relief through AusMAT (last deploying to the Philippines as 2IC in the wake of Typhoon Yolanda). Professionally, his interests lie in environmental and disaster medicine plus teaching in general. When not involved in work stuff he can sometimes be found on a rock-climbing, kayaking, diving or sailing his traditionally-rigged wooden sailing dinghy about the Tasmanian coast (or some contrived combination of above) but is more usually found repairing damage to said boat or battling acres of bracken-fern at his bush-block home. 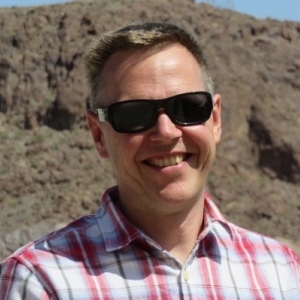 Professor Simon Brown is Director of Aeromedical and Retrieval Medicine with Ambulance Tasmania, a Staff Specialist in Emergency Medicine at the Royal Hobart Hospital, and Clinical Professor (Emergency Medicine) at the University of Western Australia. 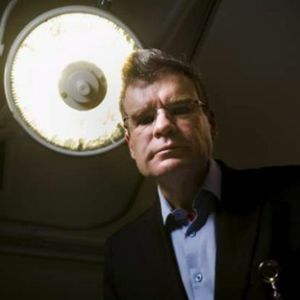 Previously he was Professor of Emergency Medicine and founding Head of the Centre for Clinical Research in Emergency Medicine at Royal Perth Hospital, WA. His research career has mainly focussed on the pathophysiology and management of critical illnesses including anaphylaxis and septic shock, respiratory emergencies, immunotherapy for preventing anaphylaxis, the use of antivenoms for snake and spider envenoming, and conduct of clinical trials in the acute setting. He has had a few big research grants, was a National Health and Medical Research Council (NHMRC) Research Fellow for 8 years, authored 100 or so original research articles, and apparently has a pretty reasonable H-index. But he doesn’t really know what that all means, except that some of his research has changed clinical practice a bit. She has agrarian instincts and concedes that her farm is the most effective money sink she knows. Fortunately for us, it appears she is in no position to retire. 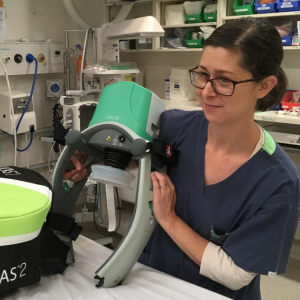 As such, we are delighted to have Dr Ruigrok provide her experience and insights at Emergency Tasmania 2018. 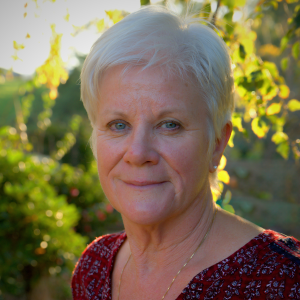 Helen O’Neill began her nursing career in (gasp) 1971 and has been a midwife since 1986. 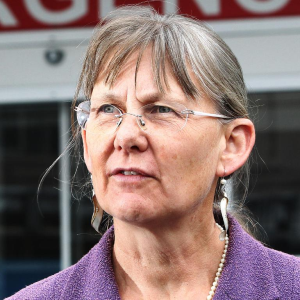 She has worked in some interesting places all over Australia but has spent most of her time doing public and private midwifery in the North West of Tasmania. She has delivered thousands of babies over the decades and obviously has a wealth of experience. In her spare time, she enjoys working on her farm, traveling, quilting, gardening and spending time with friends & family. She has announced she will be retiring from clinical practice at the end of this year. With her passion and energy, she is sure to be busier than ever before. So please wish her well… and back to the pink flannelette. 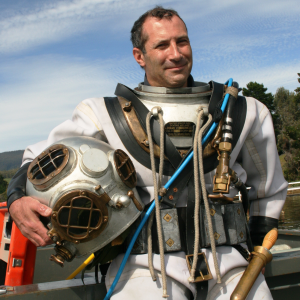 Professor Drew Richardson is often referred to by his superhero name, “Captain Access Block.” Prior to achieving this status, he graduated from the University of Tasmania and has since been the Director of Emergency Medicine of the Princess Alexandra Hospital and the Canberra Hospital. His research generally focuses on Emergency Department and hospital overcrowding. He has conducted numerous studies on the prevalence & impact of access block as well as potential solutions. Most recently he demonstrated & published significant improvements in ED flow without compromise in quality measures from a hospital-wide intervention requiring minimal additional resources. We are delighted the Captain will be attending Emergency Tasmania 2018 and hope his superpowers can be put to good use. Professor Ramon Shaban is Editor-in-Chief of the Australasian Emergency Nursing Journal. As an emergency nurse and credentialled expert infection control practitioner with an extensive background in clinical sciences and practice, his inter-professional expertise in infectious diseases, infection control and emergency care are the basis of a highly successful and integrated program of teaching, practice, and research. Professor Shaban is the Inaugural Clinical Chair and Professor of Infection Prevention and Control at the University of Sydney and Western Sydney Local Health District, within the Sydney Nursing School and Marie Bashir Institute for Infectious Diseases and Biosecurity. 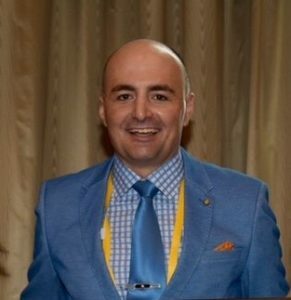 He is a member of the Australian Government Strategic and Technical Advisory Group on Antimicrobial Resistance, a member of the Australian Commission on Safety and Quality in Healthcare Healthcare-associated Infection Advisory Committee, and was 2016-2017 President of the Australasian College for Infection Prevention. He is a member of the World Health Organization Global Outbreak and Response Network, and in 2016 Ramon served as Technical Advisor (Antimicrobial Resistance) to the World Health Organization. Ramon is particularly interested in the role of emergency clinicians in the management, prevention and control of infectious diseases and healthcare-associated infection. Back by popular demand, Dr Mark Reeves has provided excellent support with previous national and state-wide ACEM scientific meetings. He has practiced as a specialist anaesthetist in public and private and in critical care for 15 years in Burnie, North West Tasmania. He has intimate knowledge of how emergency physicians think (or at least he should). In addition, he has a healthy interest in growing fruit and vegetables on his hobby farm in NW Tasmania. However he has a less healthy interest in statistics, research methodology and the basic sciences in anaesthesia. Again, we are grateful to have Dr. Reeves lend his expertise. Kris Mullins RN MPH received her initial nursing degree from the University of Tasmania and subsequently obtained a Master’s in Public Health through James Cook University in Queensland. 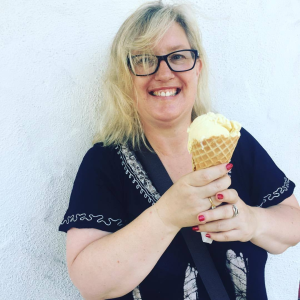 She has been involved with emergency nursing for over a decade and has been heavily involved in education through her formal role as a Clinical Nurse Educator at the Royal Hobart Hospital. Dr Iestyn Lewis is an NHS refugee and now Emergency, Hyperbaric and seemingly Wound care Physician. He works at the Royal Hobart Hospital, splitting his time between the Emergency Department, Hyperbaric Medicine Unit and Complex Wound Clinic. In addition to this he is a mentor to Dutch Emergency Physicians as part of the EM Masterclass in the Netherlands. 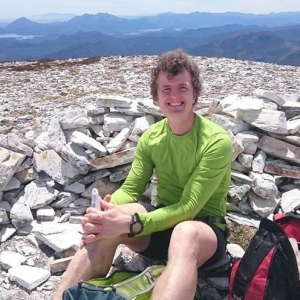 When not working he can be found running remote Tasmanian mountain trails or participating in ultra-marathons. That’s when he isn’t cliff jumping into the sea with his wife and young daughters or building infrastructure for the endless veggie garden project. Matthew graduated from the University of Tasmania some time ago as a Nurse and subsequently worked at the Royal Hobart Hospital. After a period of time, Matthew was employed by Ambulance Tasmania as a student, where he studied over three more years and graduated from Charles Sturt University as Paramedic. 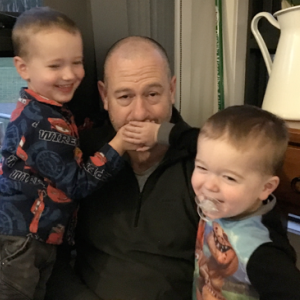 He achieved his Intensive Care Qualification (1999) and since then has worked extensively throughout Tasmania in Rural areas, on the Royal Flying Doctor Aircraft as a Flight Paramedic and as Clinical Support Officer. He returned to the University of Tasmania and completed his Bachelor of Pharmacy and worked as an Intern at a Hobart community pharmacy where he qualified as a Pharmacist. He still does Locum Pharmacy work at St Marys, which he loves but his passion for pre hospital health has seen him become a qualified Extended Care Paramedic in Hobart. 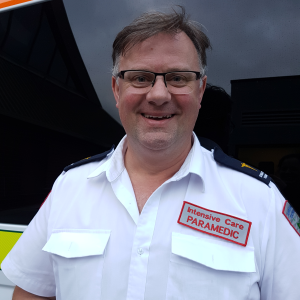 The Extended Care role is one he believes is the future of the Ambulance Service and helps to combine the other studies he has undertaken. He lives in Hobart with his family with his son at primary school and his 15 month old daughter at home. Alex graduated from the University of Tasmania Rural Clinical School and has subsequently worked in Burnie, Launceston and Hobart. 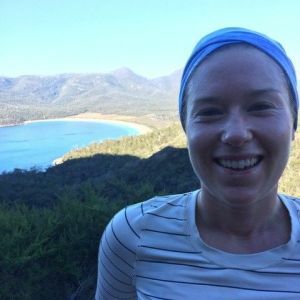 She is currently a senior registrar in Obstetrics and Gynaecology at the Royal Hobart Hospital, and occasionally takes a subject towards her Masters in Public Health and Tropical Medicine. When not catching babies she spends her time cycle touring, running, growing vegetables and more recently roaming the parks of Hobart with her newborn baby. Originally from the U.K. Matt Wooler is an Emergency Nurse based at the NWRH in Tasmania. Matt supplements his clinical work with positions as an Emergency Clinical Nurse Educator for UTAS, and a Program Support Officer for ACEM’s EMET project for the North and North West of the state. These multiple fractional roles give him the ability to look busy whilst wandering about and drinking coffee. Dr Brady Tassicker is an emergency physician and renowned connoisseur of Hawaiian shirts. While he is based in Burnie is Northwest Tasmania, his passion for sartorial excellence sees him regularly working in many sites through the Pacific. 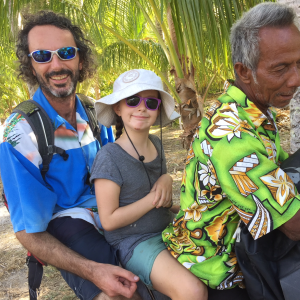 He spent the entirety of 2016 working in in the Pacific Island nation of Kiribati, travelling with his long suffering wife and two children. His portfolio in Burnie involves overseeing the educational activities, with a strong emphasis on simulation as a teaching tool. He is still attempting to find the right Hawaiian shirt to fit on Sim-Man. Tony is a former regular army soldier and has worked as a police officer in Tasmania, Queensland, the Australian Federal Police and the United Nations. These roles have taken him internationally to Papua New Guinea, the Pacific Islands, East Timor and Greater South East Asia. 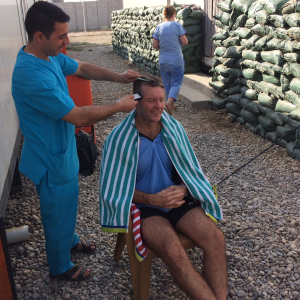 Over the last 13 years Tony has worked as a paramedic and intensive care paramedic in Tasmania, the ACT, HEMS in Riyadh, Saudi Arabia and most recently a Trauma Facility in Mosul, Iraq. These days Tony currently works as a Branch Station Officer in Sheffield, enjoying the quiet! Karina is a woman of many talents. Commencing with a Bachelor of Nursing last century, followed by career diversification in to the world of Occupational Hazard Management. She is a Certified Professional and past board member of the Safety Institute of Australia the country’s peak safety science organisation. Her skills range from ringing church bells, investigating medical misadventure, providing liability reports and keeping the VW Kombi cult alive. 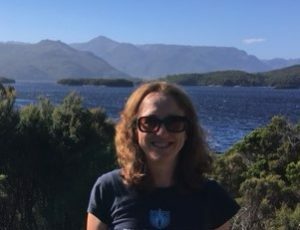 Karina is part of the Safety and Quality team at Ambulance Tasmania and an instructor and auditor of the system used within the State Operations Centre. Another string to her bow is online support for OHS VET students as well as active participation in Toastmasters leadership and education.